The All Art Gallery is presents art works as well fine art photography of European and North American artists. The Gallery was founded in June of 1998 and has always taken pride in the broad range of the art it presents in this vibrant and exciting historic period in European and North American culture. Our gallery has been the proud presenter of many artists whose works grace some of the finest national museum collections in the world, such as the Louvre, Frederikstad, Tretyakov, Pushkin, Kiev, Lvov, Krakow and many others. Works purchased from the Gallery have found their way into museum collections and prestigious private collections throughout the United States, Canada and Europe. Our gallery provides personalized service to both residential and corporate clients. The gallery features a vast selection of both traditional and contemporary art. 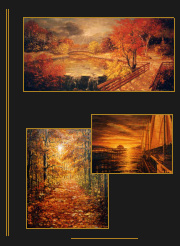 All Art Gallery also offers art and framing design consultation and art locating services with worldwide resources for the serious collector.